The LSE Grantham Institute, funded by Munich Re (whose global loss data is shown above), has published a new peer-reviewed paper on normalized global disaster losses. Eric Neumayer and Fabian Barthel, Normalizing economic loss from natural disasters: A global analysis, Global Environmental Change, In Press, Corrected Proof, Available online 18 November 2010, ISSN 0959-3780, DOI: 10.1016/j.gloenvcha.2010.10.004. "Independently of the method used,we find no significant upward trend in normalized disaster loss.This holds true whether we include all disasters or take out the ones unlikely to be affected by a changing climate. 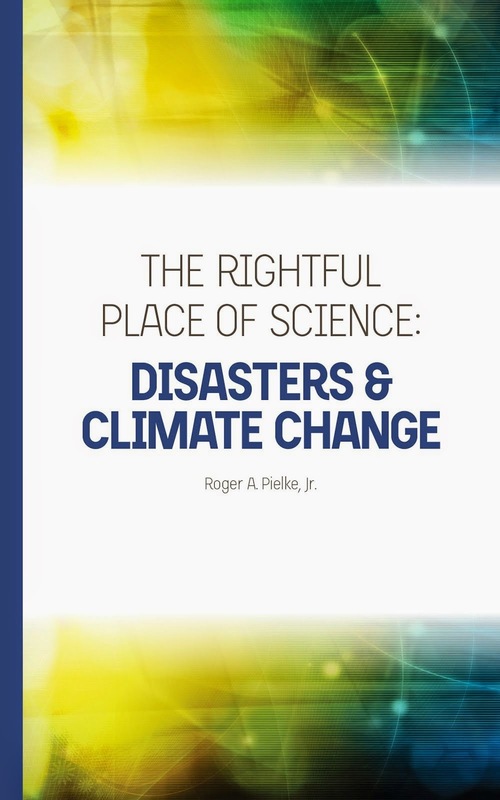 It also holds true if we step away from a global analysis and look at specific regions or step away from pooling all disaster types and look at specific types of disasters instead or combine these two sets of dis-aggregated analysis. Much caution is required in correctly interpreting these findings. What the results tell us is that, based on historical data, there is no evidence so far that climate change has increased the normalized economic loss from natural disasters." This result would seem to be fairly robust by now. 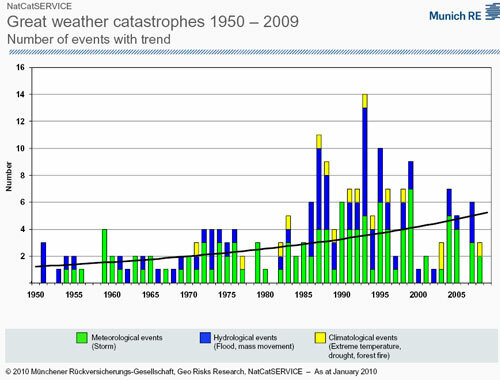 Yet claims that global warming has led to increased disaster losses are a siren song to the media and advocates alike, with the most tenuous of claims hyped and the peer reviewed literature completely ignored. I don't expect that to change.